Ajinkya Rahane’s magnificent 70 helped India take control on Day 4 of the first test at Adelaide on Sunday. India were in the ascendancy going into Day 4 on 151/3, with an overall lead of 166. Play started 30 minutes early, and the visitors began the day superbly with first innings centurion Pujara getting two fours off Josh Hazlewood in the second over of the day. 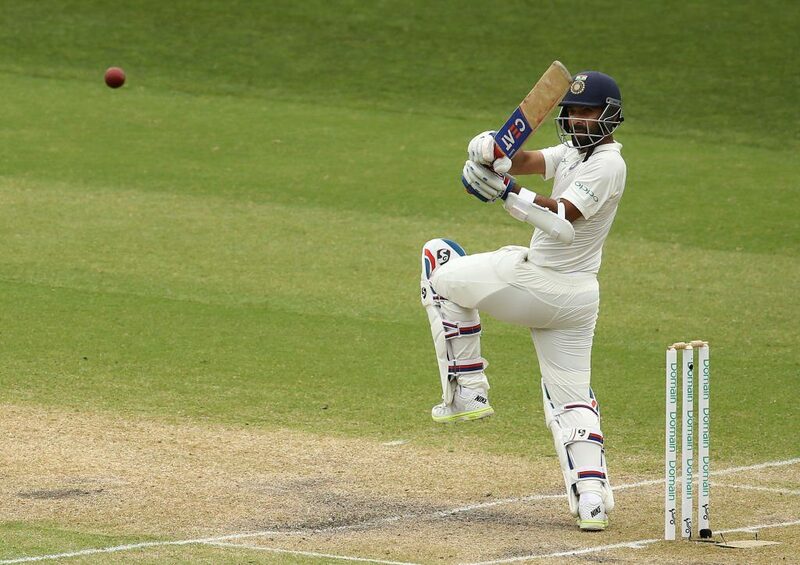 Pujara and Rahane added a 87 run stand for the fourth wicket, with the Indian vice captain also successfully reviewing a bat pad catch decision off the bowling of Nathan Lyon. Lyon however did provide the breakthrough for the home side eventually, getting Pujara caught at short leg by Aaron Finch for a patient 71. Rohit Sharma didn’t lost long either, just making 1 before a fine catch by Peter Handscomb at silly point brought an end to his innings. Dashing wicket keeper batsman Rishabh Pant went berserk after lunch, smashing Lyon for three fours and a six in successive deliveries to take India’s lead past 300. However Lyon had the last laugh, with Pant holding out to deep cover after a quickfire 28. India’s last 4 wickets fell in the space of just four runs as they went from 303/6 to 307/10. The first to go was Ravi Ashwin, dismissed for 5 runs while attempting an ambitious pull shot off Mitchell Starc. Rahane fell immediately afterwards, with a needless reverse sweep off Lyon proving to his undoing. Starc took a smart moving catch as the Mumbai batsman fell for a well made 70. Shami was dismissed first ball by Lyon while Ishant Sharma was caught by Finch at short leg from a fiery Starc short ball. Spinner Lyon was the pick of the Australian bowlers, with figures of 6 for 122 in 42 overs. Left arm fast bowler Starc claimed 3/40. Chasing a daunting target of 323 runs, Aaron Finch avoided a pair as he survived a LBW shout on the second ball of the innings on a review, with Ishant Sharma overstepping at the crease. He however didn’t make the most of that reprieve as he was caught by Pant off Ashwin in the last over before lunch for 11. Replay suggested that there was no glove or bat, but Finch, for some bizarre, chose not to review. Debutant Marcus Harris matched his first innings score of 26, before a loose cut shot saw him edge one to Pant off the bowling of Shami. Australia’s No 3 Usman Khawaja hung around for some time, but lost patience as he sliced one to Rohit Sharma who took a wonderful catch at deep cover. Peter Handscomb became Shami’s second victim when he miscued a pull shot to Pujara at silly mid on for 14 runs, leaving the hosts in a major spot of bother at 84/4. Shaun Marsh and Travis Head however saw the day through with any further alarms, as the Aussies finished Day 4 at 104/4, still needing an unlikely 219 runs for a win. Mohammed Shami, often regarded as a pacer who bowls better in the second innings, was the pick of the Indian bowlers as he finished with figures of 2/15. The crowd for the fourth day was 22,157, the lowest so far for this test at the Adelaide Oval after the previous three days had seen attendances of 23,802, 25,602 and 30,348 respectively.